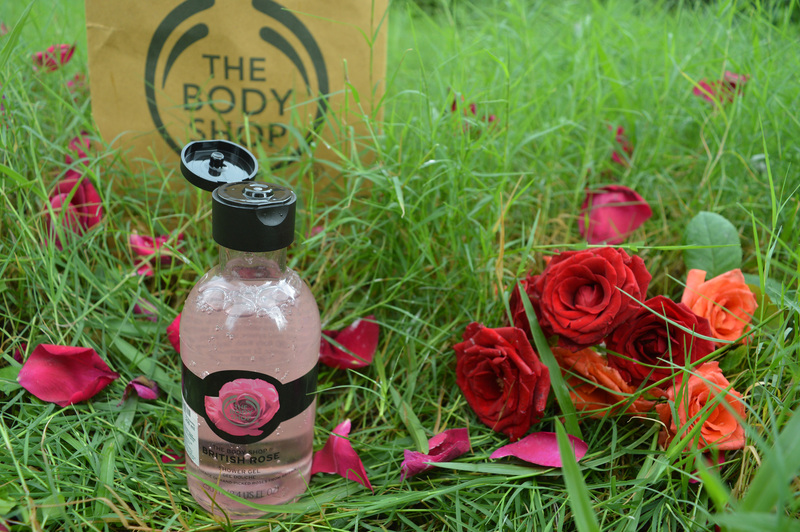 The new collection of the British rose at the body shop is based on and inspired by the beautiful fragrant English rose flowers exuding elegance and femininity. 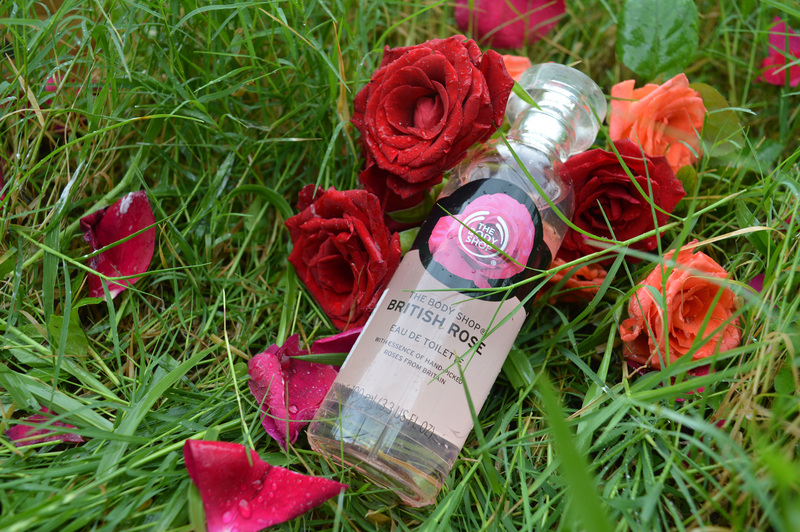 British rose is made with organic roses grown exclusively for the body shop on a rose farm in Herefordshire, England. 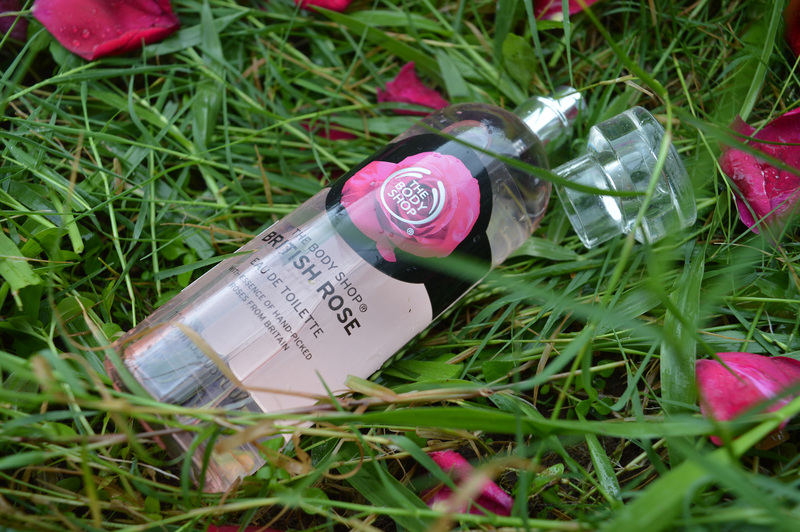 The roses are then hand-picked, air-dried and infused on-site into fresh mountain water to create the fresh rose essence. 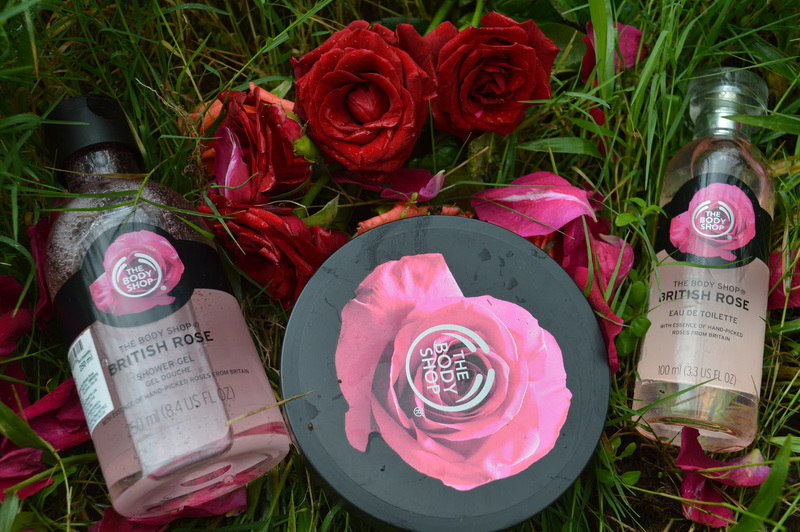 The British rose collection includes- Shower gel, Eau de Toilette, Instant glow body butter, Exfoliating soap, Petal soft hand cream, Petal soft bath bubble, Exfoliating gel body scrub. I am actually not a big fan of roses. I don’t know why but whenever I smelled roses it used to give me a headache however this is unlike any rose scented products that I have used. This one has a very floral and zesty fragrance. It creates really good lather. Even though it lathers really well it does not eliminate the moisture. Another plus point is that it’s a soap free cleanser. Buy here. The packaging is a transparent glass bottle with a sturdy cap. It fits on really tightly so there is no chance of spillage. Smells exactly like the range. Much more stronger. But since it’s an edt it doesn’t last super duper long. But it does stay on your body if you pair it up with the shower gel and the body butter. Buy here. 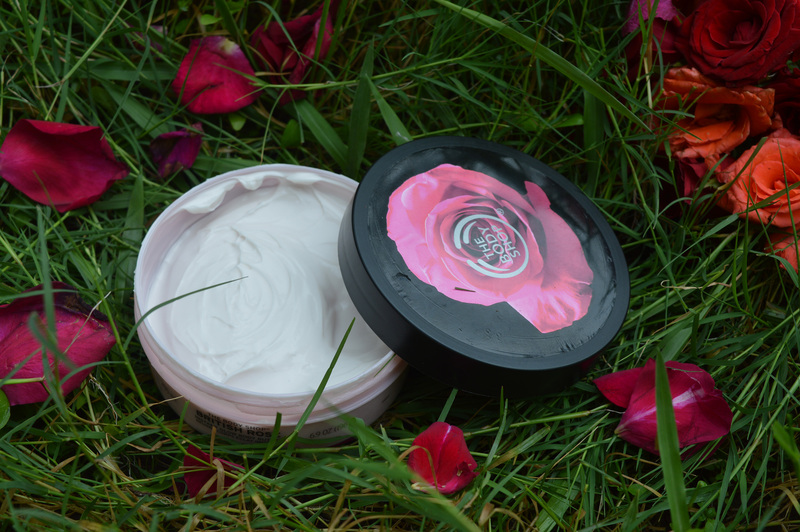 It is really creamy so if you do not like the feeling of oily cream on your body you wouldn’t enjoy it as much. For me, it gets absorbed really nicely leaving my body moisturized and keeping my skin soft the entire day along with a beautiful glow. And since I like the smell so much I usually prefer to pair the shower gel with the body butter to make it last longer. Buy here. 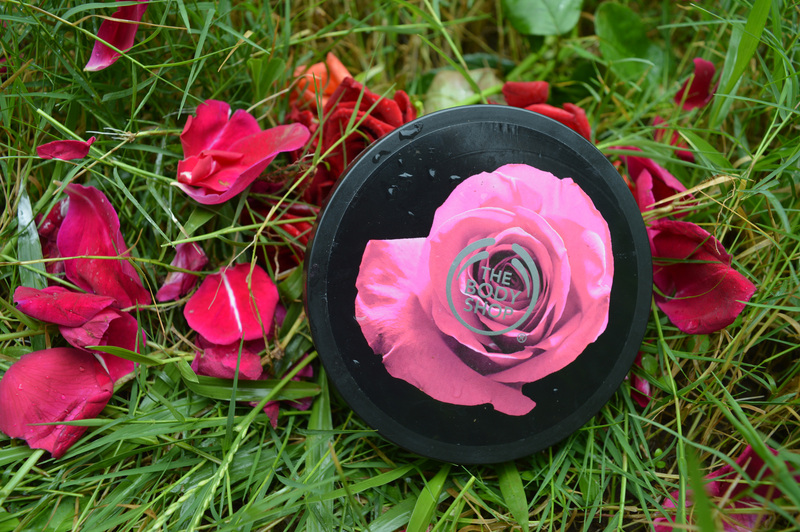 If you like something stronger to clean yourself with, the British rose exfoliating soap is made for you. This is a rich foaming soap that has real rose petals embedded in it. It also has small powdered walnut shell. The hand cream is a light weight hand moisturizer and is not at all greasy. It gets absorbed really easily. I don’t have a tub at home so this product is of no use to me. I did check this product out at the store and it had a dewy rose fragrance which I really liked. The scrub does not have chunky beds but it has smaller granules. It does a really good job of exfoliating your skin and leaves your skin feeling really smooth. The scrub is gentle enough to be used twice or thrice a week. 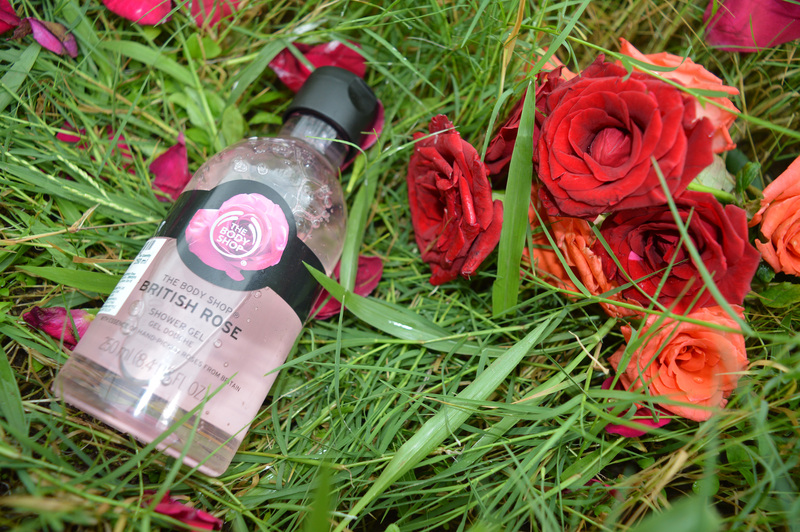 All in all I am absolutely crushing over the British Rose Collection of The Body Shop. Let me know which is your favorite product from the range. Previous Article← Day 8: This is where the journey ends- Pangong Lake.